In this paper, we propose an extension of the Optimized Link State Routing (OLSR) protocol based on link layer notification, “link buffering” and “packet restoration”. When link disconnection is detected by link layer notification, the route entries having the disconnected link to the next hop become invalid. An incoming packet is stored in the link buffer if its route entry is invalid. Packet restoration method is used to save packets in the MAC queue, for which next hop is disconnected and to give them another chance of transmission based on updated route information. Specifically two methods, “simple restoration” and “full restoration” are specified. We implemented these functions into OLSR and compared their performance using GloMoSim. 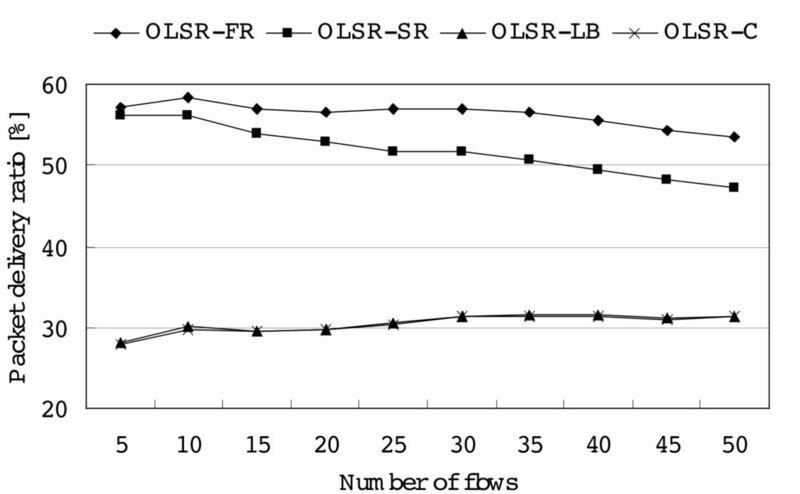 The simulation results show that OLSR with packet restoration method has high performance in the packet delivery ration in high mobility and high loaded environments.